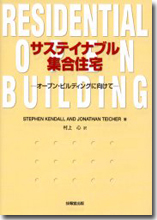 This book, " " in Japanese, is the Japanese edition of "Residential Open Building" written by Stephen Kendall and Jonathan Teicher. It contains a list of 131 projects worldwide of which 26 are documented in more detail as case studies. In addition the book gives an introduction in the underlying theories and methodology and a brief survey of economic approaches. Homeworks® constitutes a natural evolution of the venerable wood frame housing tradition that dominates North American house building. Absence of a systemic rethinking of this tradition has meant that wood frame housing - as a building culture - has lagged behind other economic sectors in quality improvement, sensitivity to consumer preferences and sustainability. Whereas other sectors of the building industry are adopting a more rational and "change-ready" approach - internationally termed "open building" - wood frame housing remains mired in the obsolete concept of "whole-building integration". This inhibits innovation, prevents adoption of smarter labor practices, and produces a housing stock that will be a burden on future generations. Homeworks® calls for a strict separation between the part of the house that should have a long life, and the part of the house that can be customized initially and adapt over time in response to changing household preferences and upgrades in consumer-sensitive technologies. These parts are called the "Shell" and the "Infil". The Shell is necessarily part of the local setting in all its physical, cultural, regulatory and environmental dimensions. The Shell helps make the urban scene. The Infill is not so constrained by the local scene. It is - and should increasingly be - approved by national certification agencies and distributed in the global marketplace of consumer-oriented products, "kits" and services. It responds more directly to the pulse of change, whereas the Shell is meant to age in place and become part of the social memory of an urban landscape. 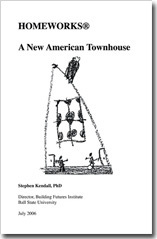 Drawing on developments toward open building taking place internationally, and recognizing that changes to a way of building only happen incrementally and can only happen as a process of cultivation, Homeworks® offers principles that may help set the stage for a much needed maturation of wood frame house-building. 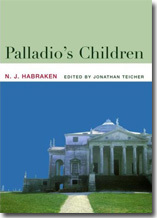 Based on many years of personal observation, Habraken's important new book critically examines the role of the architect as a professional descendent of Palladio, and as an heir to his architectural legacy. Seven innovative and carefully crafted essays explore the widening ideological schism between today's architects whose core values, identity and education remain rooted in the Renaissance legacy of creating artful 'masterpieces', and the practical demands on a profession which acts within an evolving, ubiquitous and autonomous built environment or 'field'. Clearly written yet expressing complex evolving ideas, this extended argument opens a new forum of debate across design theory, professional practice and academic issues. Moving the subject on from a historical perspective, Habraken shows how architects are increasingly involved in the design of everyday buildings. This must lead to a reassessment of architects' identities, values and education, and the contribution of the architect in the shaping ofthe built environment. More information is available at Professor Habraken's Website. 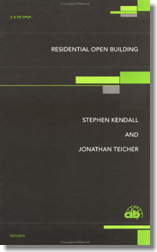 This book is the most comprehensive report on the state of Open Building to date.